Want to get healthy, stay healthy, or simply enjoy a delicious treat that's convenience as tastes Oh Yeah! delicious? Then Oh Yeah! 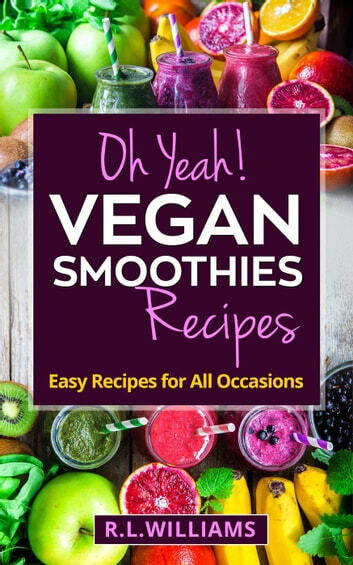 Vegan Smoothies Recipes is a must have to your collection. This book has recipes that merge some of the best, most unique flavors to create what I call "tongue dancing joy." 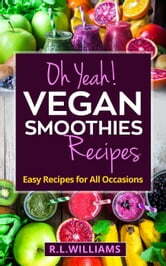 You'll delight in some of your favorites such as Key Lime Pie Smoothies, Cherry Limeade Smoothies, Pumpkin Spice Smoothies, and even many new blends such as Coffee Cashew, Green Energy Smoothies, and a wonder, Oh Yeah! Superwoman Green Smoothies.